“All the stories you have heard about hurricane Harvey are true. The devastation was terrible. We had serious flooding at our MCM Elegante’ Hotel in Beaumont. “We were full during the storm and we’re still full,” said Ed Lasater, President of the MCM Family of Hotels. When The National Weather Service warned Houston residents and businesses on August 28 that “this event is unprecedented and all impacts are unknown and beyond anything experienced,” many South Texas hoteliers were prepared to keep their doors open and shelter local residents. 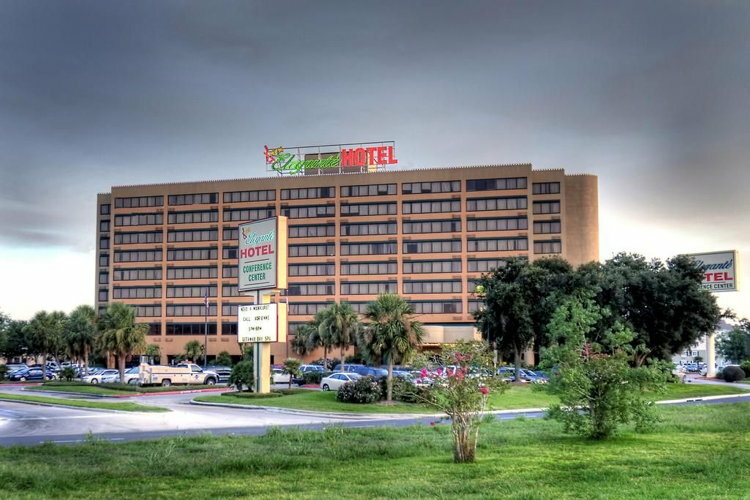 “We have been through three hurricanes since we acquired our Beaumont hotel in 2004 and our disaster preparedness team was ready for Harvey. Ten MCM Hotels with more than 2,000 rooms in 3 states use Maestro. The company installed Maestro Multi-Property Management to tie MCM’s hotels together on one database for more effective cross selling and centralized CRM. “There is good reason to be proud of our industry,” said Maestro PMS President Warren Dehan. “Hotel operators have always shown a spirit of hospitality and assistance during periods of hardship. If people need shelter or a warm bed they will be welcome at a hotel. Dehan noted that Schlitterbahn Resorts uses Maestro PMS at 3 properties on the Gulf Coast. “They did a great deal to help their communities during the storm. “Our Schlitterbahn Waterpark Resort in Corpus Christi kept its doors open during the storm to provide rooms for FEMA and other emergency first responders,” said Winter Prosapio, Corporate Director of Communications and Government Relations. “The communities around us were hit very hard. One neighboring Gulf town lost all its businesses. Our New Braunfels resort sheltered families and friends who could not return to their homes in Houston. We have learned to always be ready to help out during storms like this. Schlitterbahn Resorts contributed to post-Harvey relief by offering ‘Texas Strong Tickets’ at their waterparks. Maestro is the preferred cloud and on-premise PMS solution for independent hotels, luxury resorts, conference centers, vacation rentals and multi-property groups. This PCI certified and EMV ready enterprise system offers 20+ integrated modules on a single database including web and mobile tools to increase profitability and enable operators to engage guests with a personalized experience. For over 37 years Maestro’s Diamond Plus Service has provided unparalleled 24/7 North American based support and education services to keep hospitality groups operational and productive. Click here for more information on Maestro.